I’m happy to announce that I’ve been chosen to turn bestselling writer Jared Diamond’s The Third Chimpanzee into a book for young people. Diamond is the author of Guns, Germs, and Steel (1997), a book that explores the relationships among geography, biology, and history, and also of Collapse: How Societies Choose to Fail or Succeed (2005), a book about why some societies are successful and long-lasting while others fall apart and disappear. 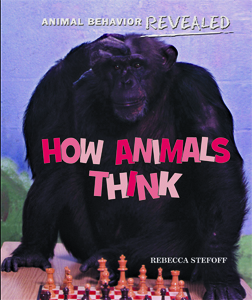 The book I’m adapting for young readers, The Third Chimpanzee: The Evolution and Future of the Human Animal, explores the many things that make humans unique–as well as their connections to the rest of the animal world. It’s a subject that I think kids will find fascinating. I’ve just gotten started on the writing, and already I’m enjoying it tremendously. I look forward to the time when the book will be finished and ready for readers. 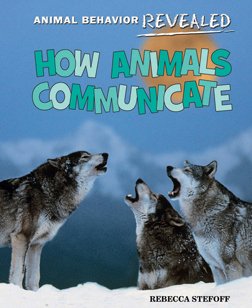 Revealed: Animal Behavior Revealed Book Covers! 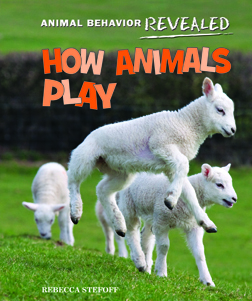 I love the covers for my latest series of nonfiction books for kids: Animal Behavior Revealed. These four books were both fascinating and tons of fun to write. I hope readers will share both the fascination and the fun. It’s amazing how much scientists are learning every day about how and why animals do the things they do. 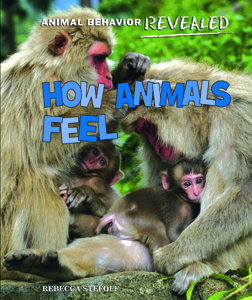 Animal Behavior Revealed is due to be published in Fall 2012. Look for it online, in bookstores, and at your school or public library. How do we know whether an idea, belief, or statement is scientific? In Good Science, Bad Science, a series I’m writing now, I explore the basics of the scientific method–a powerful tool for exploring and understanding the world, from atoms to galaxies. The history of science is one of new ideas constantly replacing old ones, as investigators learn ever more about the workings of the world around them. People used to believe that Earth was the center of the universe, with the Sun and all the stars revolving around it. Now we know that Earth is just one of many planets and asteroids that revolve around the Sun, and that the Sun is just one of trillions upon trillions of stars. A key part of good science is being flexible. A scientific thinker is able to change his or her ideas when new evidence comes along. * the differences between astrology and astronomy. The series is still in the early stages. Writing the books is a fascinating journey. I can’t wait to see the finished product. When did humans first come to the Americas? Scientists have debated this question for years. I wrote about the debate in my 2010 book Modern Humans, part of a four-volume series on human evolution. Experts used to think that the Americas were peopled starting about 13,000 years ago. That date has been pushed back in recent decades. The latest evidence, summarized in the Americas as early as 18,000 years ago–and they may have come even earlier than that. The question of when people came to the Americas, and from where, has been a hot topic in scientific circles for a long time. With archaeologists digging for more traces of early humans, and genetic sresearchers casting new light on the ways world populations have merged and split over time, the debate is sure to continue.